“If you can picture it, you can do it”. The cliché might not always be true, but bright futures usually only come about when they’ve been clearly thought through and worked toward. Those who take time to picture the future they want time and again find their visions becoming real. Visioning is therefore a task worth taking seriously. This book provides a complete guide to help you achieve exactly what it says on the cover – how to discover, shape and realize a vision, even when you don’t have a whisker of an idea to start with. •Alternative techniques and suggested activities to suit readers’ different preferences for problem solving and creating and developing ideas. Taking the reader from a blank page to steps that will help you put a vision into practice, The Complete Guide to Visioning offers step-by-step guidance for creating ideas, shaping and setting in stone a brilliant picture of a ‘perfect future’, then showing how to create the opportunities for making this real. 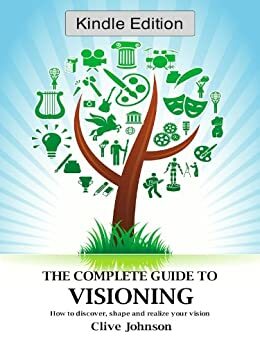 The Complete Guide to Visioning is written by the author of several popular guides covering business and self-discovery topics. The Guide will be relevant whether you’re stuck in a rut for finding an idea, have lots of ideas about what the future could hold but don’t believe that you can really achieve these nor know which one to follow or if you’re not looking for the ‘next big thing’, but simply for fresh inspiration, to have something to aim for. It is equally suitable for imaging personal futures or company visions. Visioning is relevant for any of these situations and indeed for whatever circumstance you find yourself in.